How do I use iScore with my Sport Ngin site? 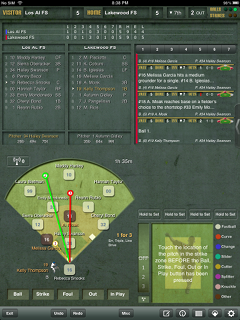 If you have a website that is powered by http://sportngin.com, you can use iScore to score the games, and have the stat data from the game transferred into your Sport Ngin site automatically. In order to do this, you must follow a fixed set of steps so that Sport Ngin can recognize the data. These limitations in the scoring flow are required by Sport Ngin in order for their site to recognize the data coming from iScore. 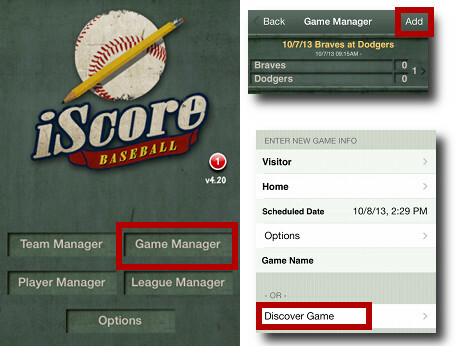 First, go to Game Manager in iScore, and select Add, then the Discover Game option (or the Discover button on Android). Score the game in iScore as you would any other game using the teams / players you have imported. IMPORTANT If there are any changes to the teams (roster changes, home vs visitor, etc), the change must be made on the Sport Ngin site, and the game must be discovered after the change is made. Sport Ngin will not recognize new players added to a team in iScore directly or changes to home vs visitor teams. 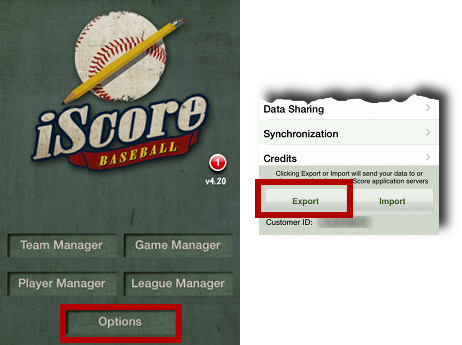 After scoring your game, do an Options -> Export in iScore to send the data to the iScore servers where it can be retrieved and processed by Sport Ngin. If you are getting a "No upcoming games found for next 7 days" message, it means either that there are no games scheduled over the next 7 days for the league you have selected, or your account does not have access to the games. If you are sure there are games scheduled, then be sure the Administrator of the Sport Ngin site has given your account access to the games. 1. If you have swapped the home / visitor teams in iScore instead of on the Sport Ngin site. 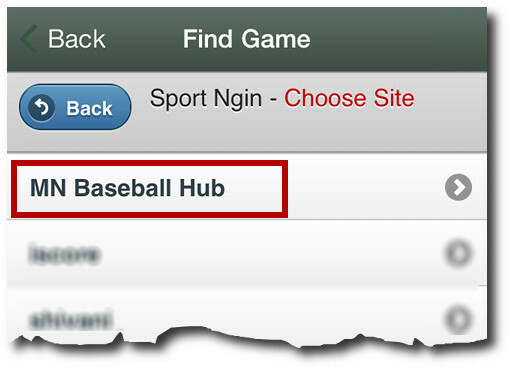 It is important that the home / visitor teams are set correctly on the Sport Ngin site prior to Discovering the game in iScore. 2. If you have "merged" existing players in iScore with the players that you have Discovered from Sport Ngin. 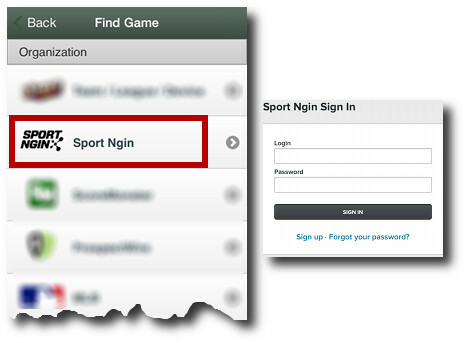 Sport Ngin will only recognize players that have originated from their system. To fix this, you can discover a team again, and if a duplicate player appears in Player Manager, use the Merge option to combine the duplicates back into one. Be sure to select the player that came from Sport Ngin in the left list so the player on the right merges "into" that player. 3. If you have added players to a team while scoring that did not come from Sport Ngin, they will not be recognized by Sport Ngin. The bottom line is that in order for Sport Ngin to recognize the data, you must stick to the very straightforward process of Discover the game, Score the game, Export the game. If team/roster changes must be made, do them on the Sport Ngin side prior to Discovering to be sure that Sport Ngin will recognize and correctly process the changes.